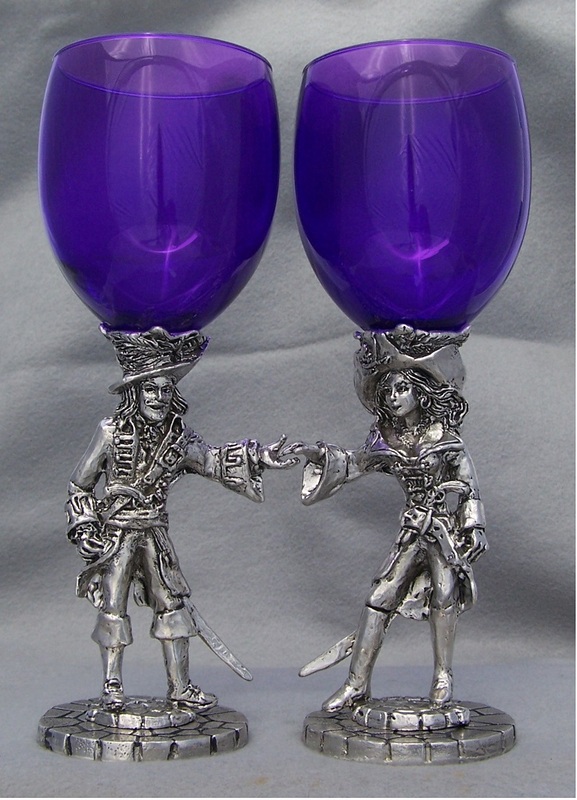 For the lovers with a rakish look in their eyes, these pirates might be just what you need. They form a heart in the space between them, when you set them together. Each glass holds 12 oz. if filled to the brim. We make them by hand from lead-free pewter, and the glass is made especially just for us and is back by our Glass Repair warranty.